All EMS Branch locations across the country are CIMS and CIMS-GB Certified with Honors, and the EMS corporate headquarters has been GS-42 Green Seal Certified. 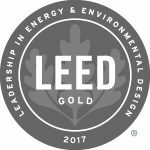 Executive Management Services, Inc. is pleased to announce that it has been awarded LEED Gold certification, for the renovation of our corporate headquarters. 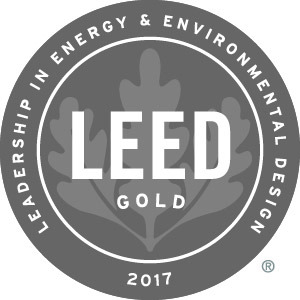 The LEED (Leadership in Energy and Environmental Design) rating system, developed by the U.S. Green Building Council (USGBC), is the foremost program for buildings, homes and communities that are designed, constructed, maintained and operated for improved environmental and human health performance. Executive Management Services, Inc. is leading the way for our healthcare customers with AHE’s new CHEST Program. The EMS Corporate Training Department has completed AHE’s Certified Healthcare Environmental Services Technician Training Program (T-CHEST) and is now offering CHEST Certification to our employees. We are excited to be on the forefront of this new program – initially rolled out in 2015. EMS continues to accelerate this program by training our managers and staff working directly with healthcare facilities.